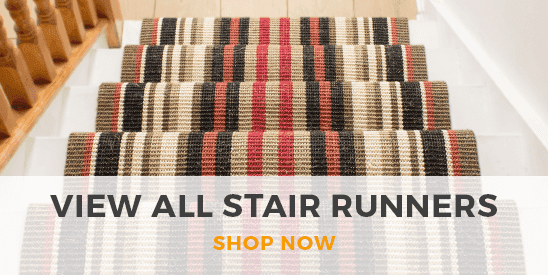 Go for bold with our latest collection of striped stair runners; the ultimate timeless pattern for any home. Striped stair runners give a staircase a truly dynamic, contemporary feel while adding a splash of colour and fun. Choose from an incredible selection of striped styles from narrow and wide stripes to monochrome and multicoloured designs, ideal for matching up with a range of interior colour schemes and tastes. 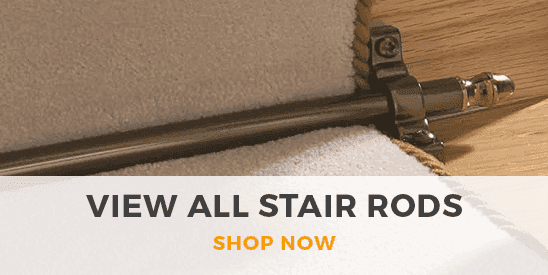 All of our stair runners can be cut to any length to perfectly fit your staircase, while our extensive collection of stair rods can provide the perfect finishing touch to enhance your new striped stair runner. There are many oft-overlooked benefits of choosing a striped carpet runner for the stairs in your residence. Stripes obviously can have unique visual appeal in carpets, but - thanks in large part to Carpet Runners - you could find that one of the striped stair carpet runners listed in this part of our website could better your home in ways that you had never previously imagined. The stripes differ across these runners in both their quantity and appearance. Some of the stripes, for instance, look relatively solid, whereas others appear more subtle. Whichever of these stripes you favour, however, could inject more unique aesthetic character into your stairs by distracting from predictable colors and patterns elsewhere in your home. A more surprising plus point of striped stair carpet runners is that they can obscure the sight of wear and tear to the carpet. You should, after all, keep in mind that whatever carpet runner you choose for your stairs will be regularly withstanding the pressure of feet on those steps. At some point, damage could occur - but damage to striped carpet can be less obvious than that to more plain carpet, thus helping you to prevent buying a replacement carpet runner too soon.